In September 2018, the Mt. Pleasant Discovery Museum opened their new One World exhibit. 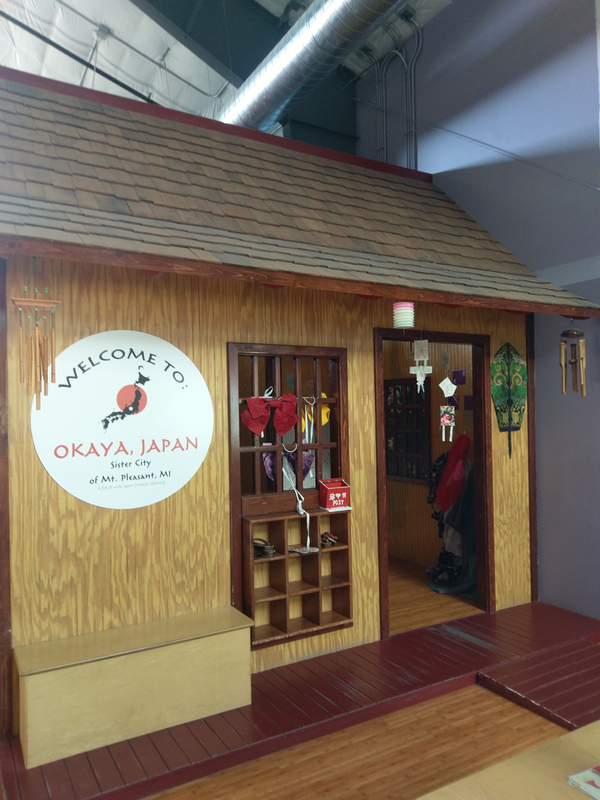 The One World Exhibit is an interactive bike ride that takes the rider through the streets of Okaya, Japan, the sister city of Mt. Pleasant. This experience allows people of all ages to peddle a custom bike in front of a monitor that displays real footage from Okaya. The staff at the museum collaborated with colleagues in Japan utilizing a “go-pro” camera to make this a fun experience for all riders. The Kellogg Youth Fund helped provide the necessary funds to purchase and install this new exhibit. This recent addition has provided entertainment for visitors that come from all over to discover new things. Beginning in February of 2018, the Museum worked side by side with designer, Shane Smith from Wildwood Studios, to create this wonderful new attraction. The staff receive near daily comments of praise for their newest exhibit and the overall experience of being at the museum. Those involved with the project are very pleased with how the exhibit turned out and the excitement it brings to visitors. The bike not only encourages fun, it helps stimulate gross motor skills and allows the user to experience another part of the world. This exhibit is the ultimate combination of fun and cultural education.